This book is a highly original and provocative contribution to democratic theory. Zolo argues that the increasing complexity of modern societies represents a fundamental challenge to the basic assumptions of the Western democratic tradition and calls for a reformulation of some of the key questions of political theory.Zolo maintains that, as modern societies become more complex and more involved in the "information revolution," they are subjected to new and unprecedented forms of stress as manifested, for instance, in the growing autonomy and power of political parties, and in new kinds of political communication which create the fiction of consensus. These stresses have become so serious that they threaten to undermine some of the values traditionally associated with democracy, such as the rationality and autonomy of the individual, and the visibility and accountability of power.In conclusion, Zolo develops a set of proposals which seek to renew democratic values and to contribute to a fundamental reform of Western political systems." Pluralist democracy has become the only respectable political practice to survive the end of the twentieth century. 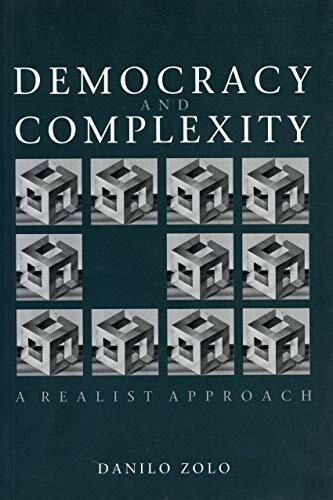 But at the same time, or so the central argument of Zolo s study can be summarized, the intellectual foundations of democratic theory seem shakier than ever. After performing a skillful act of demolition on the legitimating arguments of both classical and neo-classical democratic theory, the author concludes his own revision of democratic revisionism with views that are surprisingly reminiscent of the founding fathers of modern political theory, such as Machiavelli and Hobbes. 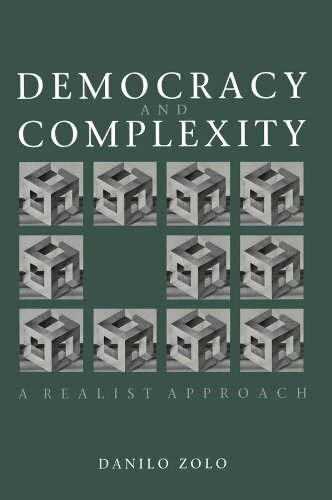 His fascinating and highly provocative treatise on modern politics, in which Zolo attributes special significance to the media of mass communication, leaves the reader with a sense of democratic melancholy as well as the challenge to find an intellectually respectable way out of the ruins of democratic theory. This is a heave dose of what might be termed Italo-realism in political theory as serious in its intellectual effort as it is in its devastating consequences for mainstream democratic folklore. Claus Offe"